Obesity rates are a growing problem, especially among the new generations of children who prefer spending their days indoors behind a screen, rather than being active outside. This is why exercising as a family is so important. It not only teaches your children the importance of staying physically fit, setting a good example for them, but it can also be such a fantastic bonding experience for the whole family. Dancing is such a fantastic workout, and this is an easy one for getting the whole family involved. All you need to do is put together a playlist of songs that your family love, turn up the volume and get moving! If you do this in the evening, adding in flashlights in lieu of strobe lights can make the activity even more special for young children. This may seem simple, but children tend to have such a fascination with animals. 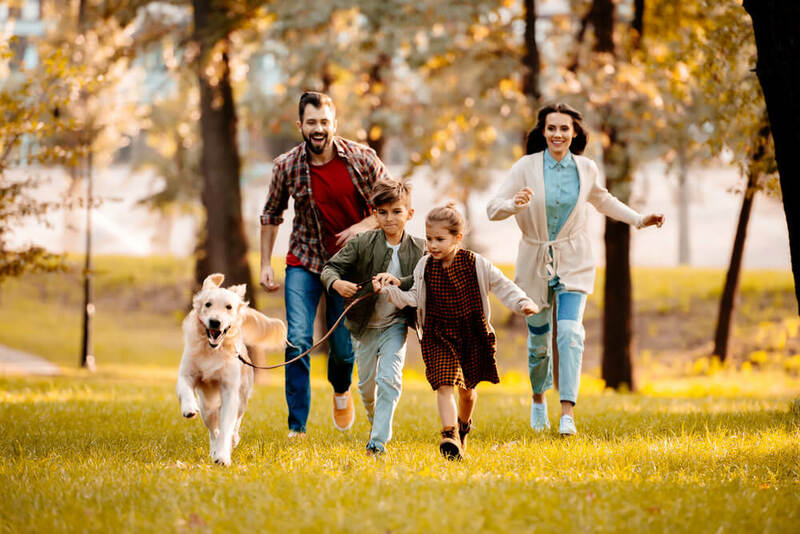 An activity as basic as walking the dog will likely seem so much more exciting to kids than to you, making this a great way to get the whole family (as well as the dog) moving. To keep things interesting, try to pick new routes and locations each day. Areas where your dog can run free and properly play and interact with the entire family would be a bonus. Borrow a friend or neighbor’s dog instead. Even if you do have a dog, adding in an extra one can really change the dynamics of your walk. There are also many apps out there that connect dog owners with people who enjoy walking them. This will give your family the chance to interact with many different pooches, although you would need to ensure that they are each child-friendly. Are there any television shows that the entire family watch together? Well, since you already have everyone in the same room, this is a great opportunity to sneak some exercise in too. You will need to wait for the commercials to come on, but, as soon as they do, get everyone doing a certain exercise. From high jumps to planking to push-ups, this is a great way of ensuring that your children don’t end up too sedentary when watching TV. You could also arrange for each family member to take turns being the “leader” of the workout for each commercial break. This will make things more interesting, as everyone will be able to have their say when it comes to exercises that they enjoy. Is jump roping something that your children do? 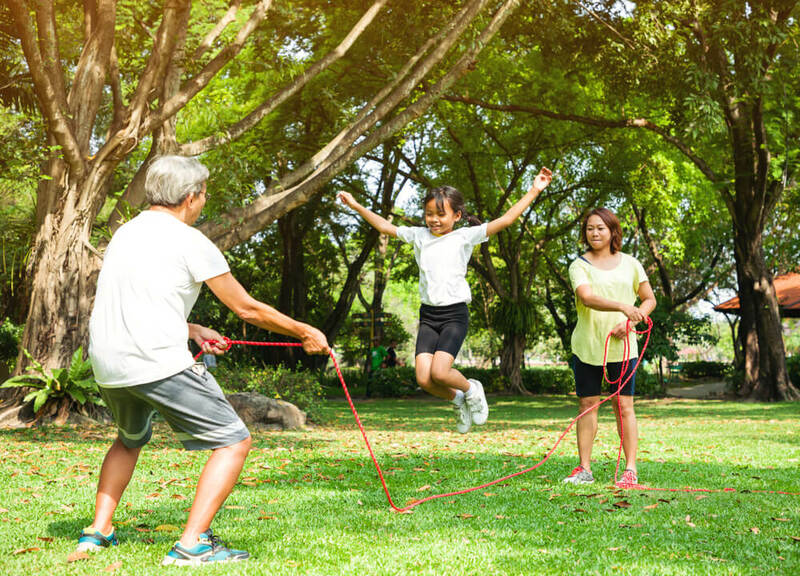 Plus, the fact that jump roping is a low-impact activity means that it will not put any unnecessary pressure on the joints. There are plenty of jump roping games and rhymes to be found online, so equip yourself with some of these before introducing the activity to your family. No matter what age you are, being able to grow something and then eat it gives you a huge thrill of satisfaction. The fact that you can also enjoy organic produce at a fraction of what you would have paid for it is an added bonus. This is something that your whole family can take part in, with each family member choosing a few of their favorite foods to grow. Wondering where the exercise part comes in? Gardening itself is actually a fantastic workout! Did you know that gardening for an hour can burn as many calories as if you had jogged for four miles? Gardening requires your body to perform such a wide range of motions, from squatting and bending to lifting and digging, giving you the ultimate workout. It also triggers your brain to release feel-good endorphins, while teaching your children a sense of responsibility. Have a family meeting to discuss the foods you want to grow. Then, go out and get some seeds or plants, and get growing! Don’t forget to teach your family how to properly warm up before gardening, especially if you have a few strenuous tasks ahead of you that day. Due to all of the muscles that are used when gardening, gardening-related injuries are actually more common than you would think! Swimming is often referred to as the perfect exercise. Because it provides you with all of the benefits of a full aerobic workout, but without putting any pressure on the joints. Swimming is an exercise that can be done by just about every member of the family, no matter their age. You can either opt for a local swimming pool or the sea, although this does depend on where you live. While the sea usually tends to be more fun, this can often be impractical in the colder months, so make sure that you have a few back-up options too. Can’t imagine your children getting on board with the idea of swimming laps? Don’t worry, they don’t need to! You can either just leave them to splash and play about in the water, which will bring them pretty similar health benefits, or you can get everyone involved in a family pool game. Jumping or diving competitions are always fun, as is Starfish Tag. Younger children tend to love underwater mirror games, while balancing competitions on a floating mattress will get everybody’s muscles working. While it may be easy enough to cycle with your kids to school instead of driving them, or cycling to the shops on the weekends, this list is all about ways to make exercise fun. The best way to do that when it comes to cycling is by turning the journey into a little adventure. This means planning new routes and cycling through new areas, so that the views and scenery are different each time. Try to alternate between urban and rural areas, as this contrast will keep things interesting. Planning your route so that there is something special and rewarding at the end of it will help to give your kids some extra motivation. Treating them to a hot chocolate at a cafe, or visiting a pond to feed some ducks, will help to make the activity even more special. Just like with gardening, household chores require the body to perform such a wide range of motions, giving you a great workout. The trick to getting the whole family involved is to make it fun, by adding in some music and a competitive edge. The music needs to be energetic and fast-paced, and you should try to get each family member to contribute to the playlist, as everyone will have certain tunes that motivate them. You don’t want to do it before a mealtime, when everyone is hungry and cranky. You also don’t want to do it after a meal, when everyone is full. Wondering how to actually turn those boring chores into a competitive workout? Sports games can be so much fun, to the point where you often forget how long you have actually been exercising for. 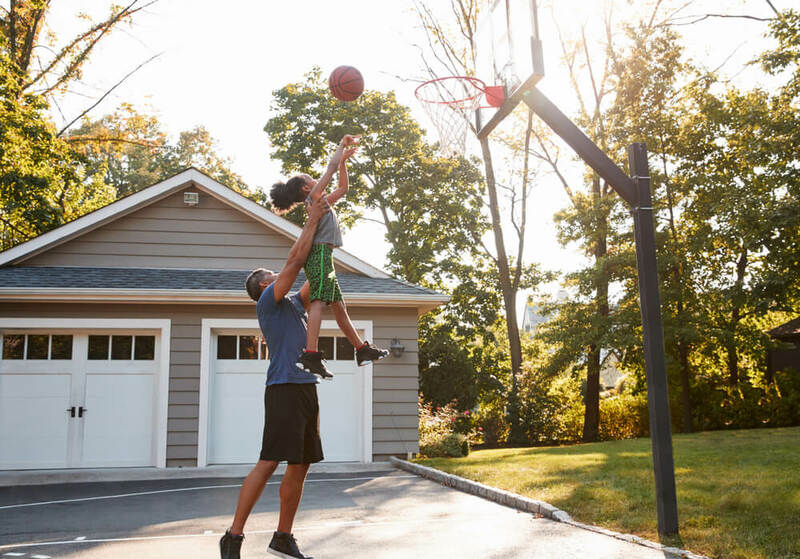 Learning a new sport can be even more exciting, and there are so many different sports out there that you and your family could try. So, which sports should you try playing with your family? If there is already a sport that every member of your family enjoys playing, you could try to improve your skills in this. Sign your family up for a class, or enter yourselves into a local tournament. Keeping things varied will help to make the activities more fun. Try having each family member pick a sport that they would want to try, and then you could alternate which one you do each week. Even something like bowling would still ensure that your family are on their feet for a few hours. You could make things more interesting by having rewards for the winning team or “punishments” for the losing team. For example, the losing team would need to cook the family meal that night, or the winning team would be able to decide what to watch on TV for that week. This will give everyone the motivation to put their all into the activity. Have you heard of exercise cards before? They’re an increasingly popular way to plan a workout. Each card in the deck would feature a specific workout, whether this may be a bodyweight exercise, a stretch, or anything else. Exercise cards are available pre-printed, but since this is an activity that you are basing around your family, you may find it more useful to create your own deck of cards. Because this way you can incorporate exercise that fit your family’s specific skills and requirements. You can add in plenty of fun games, such as the jump roping mentioned above, to keep your kids interested. Once you have your deck of exercise cards together, set aside some time for your family workout. Then, get everyone in the family to pick one or two cards from the deck, before combining these all together to create your unique routine. You can keep things interesting by alternating the location of your workouts. While there is nothing wrong with doing these at home or in your backyard, taking your deck to a local park or hiking trail will instantly make the workout seem so much more exciting. 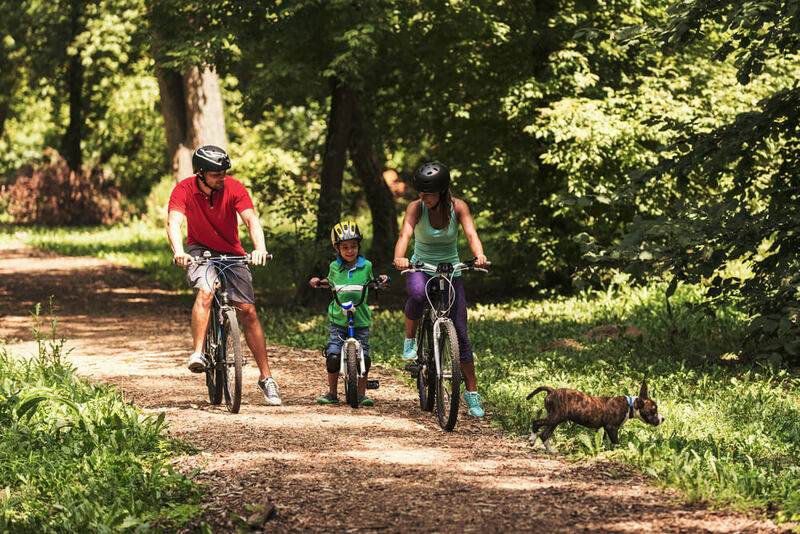 Exercising is something that every family should be doing together, but it can definitely be tricky to find activities that the whole family can enjoy. Each of these activities will provide your family with a fantastic workout, while keeping them motivated and engaged at the same time.